Lawmakers really want Veterans Affairs Department leaders to fire more employees. The House and a Senate committee have even passed a bill that would make it easier for the head of the department to sack employees in the Senior Executive Service by removing due process protections. Outgoing VA Secretary Eric Shinseki said Friday morning in a speech just before he resigned that he would support such measures. But he also recently told Congress he had sufficient authority to fire any worker when necessary, noting he forced out 6,000 employees in the last two years. 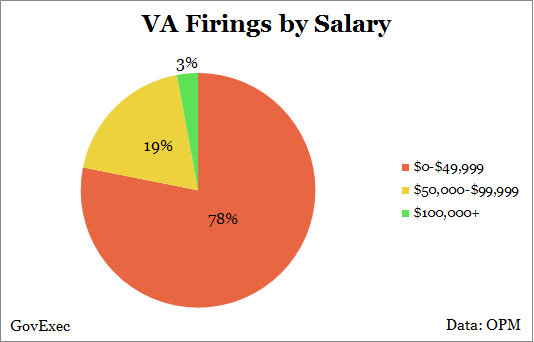 In fact, VA fired 2,247 employees for disciplinary or performance reasons in fiscal 2013, more than any other Cabinet-level agency, according to data from the Office of Personnel Management. That amounted to about 0.7 percent of its workforce, the third highest percentage of any Cabinet agency after the Homeland Security and Commerce departments . 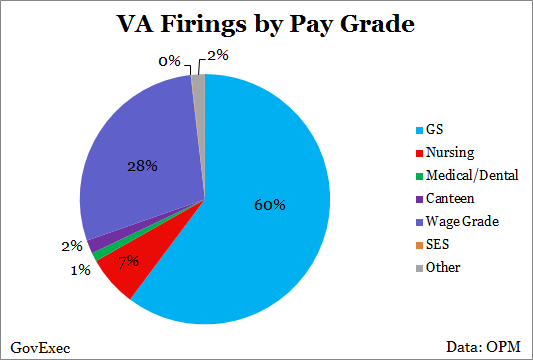 Senior executives fared far better than the rest of VA’s workforce, however. 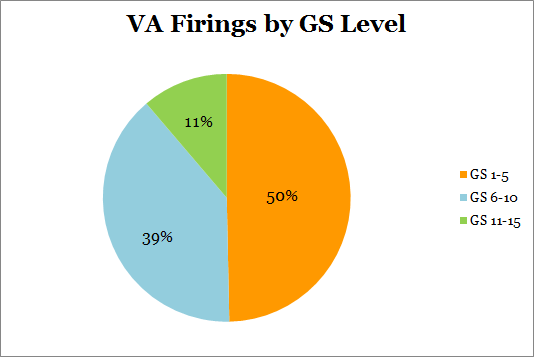 VA fired just two Senior Executive Service employees for discipline or performance in fiscal 2013, and has terminated a total of three senior executives since fiscal 2008. The data do not include forced transfers or retirements. Republicans renewed their call for more heads to roll after Shinseki announced his resignation on Friday. “Who else at the VA should be fired?” House Majority Leader Eric Cantor wrote in a Politico op-ed , saying Shinseki’s resignation was just a start. He also accused Senate Democrats of blocking the bill -- the 2014 VA Management and Accountability Act -- to ease the firing of VA executives. Legal experts have questioned the constitutionality and wisdom of the bill, saying it would violate Fifth Amendment protections, contradict a precedent established in a Supreme Court case and create a partisan civil service. Currently, SES employees being demoted or fired for misconduct have the right to know the charges against them 30 days prior to the action, to respond in a meaningful way and to see the evidence the agency used to make its decision. The VA Management and Accountability Act would strip senior executives of these rights. A senior executive can only be removed for three reasons, according to Debra Roth, a partner at Shaw, Bransford and Roth and general counsel for the Senior Executives Association: misfeasance, or poor performance; malfeasance, or misconduct; and nonfeasance, or the failure to take an assignment outside of the employee’s duty area. 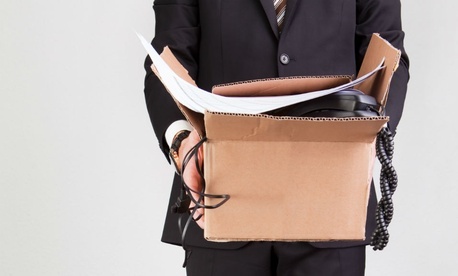 Employees must be removed from the SES if they receive two “unsatisfactory” ratings within five consecutive years, or two “less than fully successful” ratings within three consecutive years. The Merit Systems Protection Board can review the action and make a non-binding recommendation to the agency; however, employees cannot appeal the actual performance rating. For its part, the Obama administration has raised concerns with the House bill, but fell short of issuing a veto threat. “We do have some concerns that some provisions could result in significant litigation,” the White House said after the bill passed the House, “which would divert valuable time and resources from VA’s accountability efforts and its core mission of delivering quality services to our veterans. But we’ve been very clear we want to work with Congress on specific language issues and look forward to discussing the bill going forward."